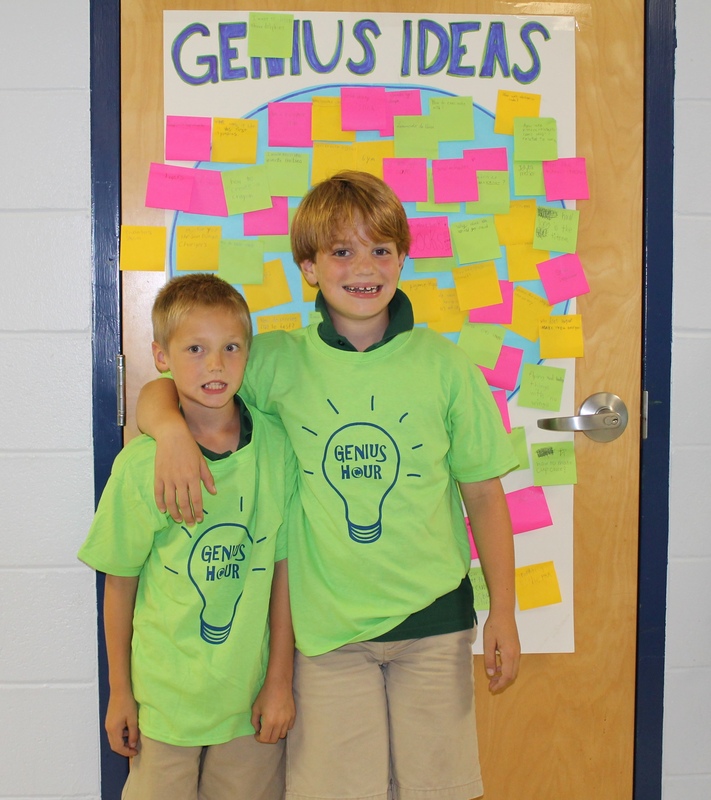 Genius Hour Kick-off Knocks it Out of the Park! In the life of an educator, there are just some days when you leave school and you know you crushed it! Wednesday, after our Genius Hour Pep Rally with grades 2-4, I had that awesome feeling. We began our rally with a discussion about what Genius Hour is all about. Students told me that it would be fun to learn about anything they wanted to learn about. 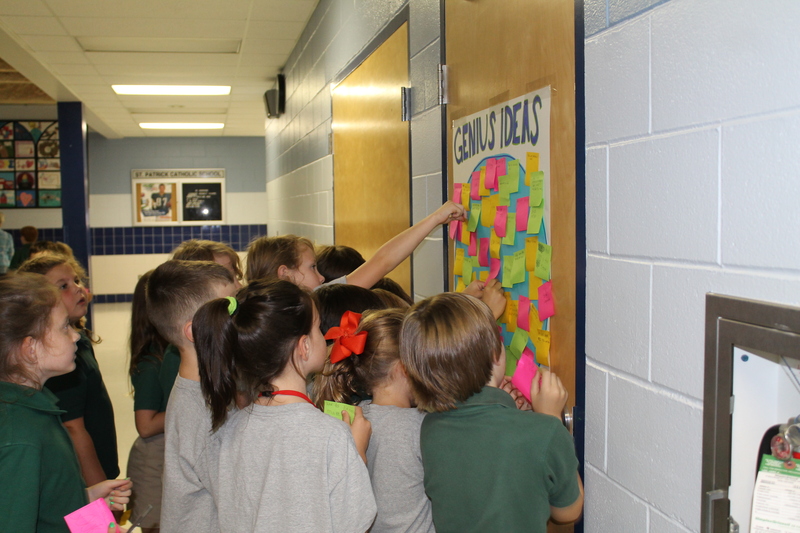 I then asked them to write their question or idea about anything on a post it and then stick it to our “Genius Idea” board. Wow, did they come up with some incredible questions and topics. Here are just a few: How do cheetah’s run so fast?, Why does sugar give us energy?, What would it be like to live on Neptune?, How were barbies invented? The next part of our pep rally was for me to model what a Genius Hour presentation might look like. I used PowerPoint and embedded 2 videos into the slides. My topic was crayons and my questions were: How are crayons made and why do so many people love crayons? I am a lover of coloring – with sharp crayons only – so this was a fun topic for me to research. I have to say that I learned a lot of new information during my investigation. 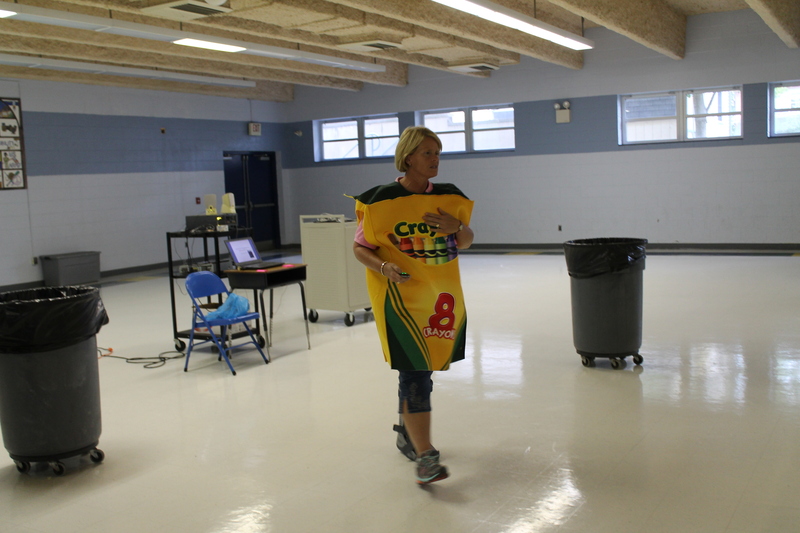 After my presentation I answered a few questions, showed them the cart of iPads that are designated just for them, and then handed our special Genius Hour t-shirts to all of our 2nd – 4th graders. They were so excited about the t-shirt and immediately put them on. They will be wearing this shirt as their uniform on the day their class is scheduled for Genius Hour. The look of excitement and enthusiasm on their faces was easily the best part of my week. We laminated all their ideas and the poster board is hanging in the 2nd-4th grade hallway. This might help a student who is struggling find a topic and a passion to research and present! Let the learning and the discovery begin! Go Warriors!